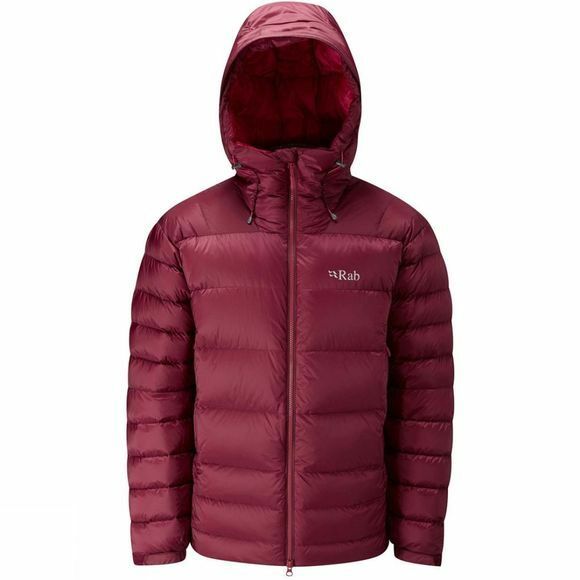 Rab's Positron Jacket is a warm, water resistant and durable synthetic insulated jacket. Using 800FP European Goose Down, you'll be toasty and warm, no matter what the weather outside is doing. Featuring a helmet compatible hood with face baffle and wired peak, YKK VISLON AquaGuard 2 way front zip with insulated zip baffle and stitch through construction on sides and arms. The Positron Jacket is a technical down jacket with zoned construction, to optimise warmth and mobility. With a Pertex Endurance shell, it provides cold weather protection from mother nature.